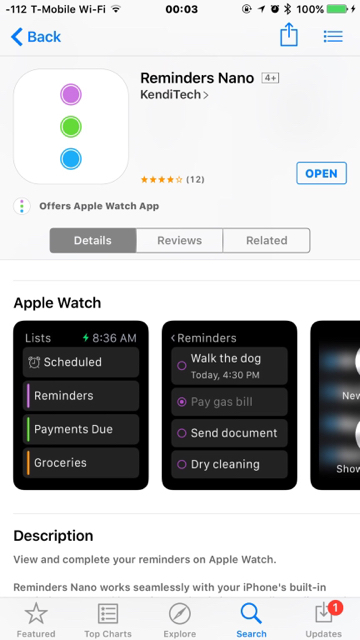 Anything that has basically the same functionality as the reminders app that actually has a watch app? I have narcolepsy and have to check off dosages but sometimes I snooze a reminder (in a meeting or something) and am not able to access it again on the watch until it pops back up. Hi. Not sure what you look for, but WebMD has a great app with meds notifications for the watch. 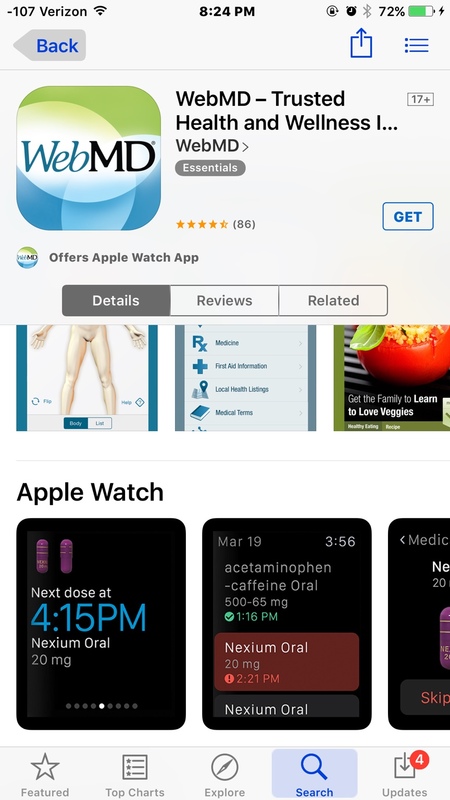 There's more, just search "Meds reminder watch" in the App Store search bar. I haven't tried it yet so can't say how good it is but you could look into this as well. I'll check that one out thanks! OneList is not bad-- it squeezes on more items in the Glances section, compared to Nano.